Counties in Connecticut are pretty much just a line on the map. The state formally abolished its eight county governments back in 1960. “Considering that Connecticut prides itself as being the Land of Steady Habits, Connecticut is the only state in the country that had counties and got rid of them,” Connecticut Mirror Capitol Bureau Chief Mark Pazniokas proclaims. 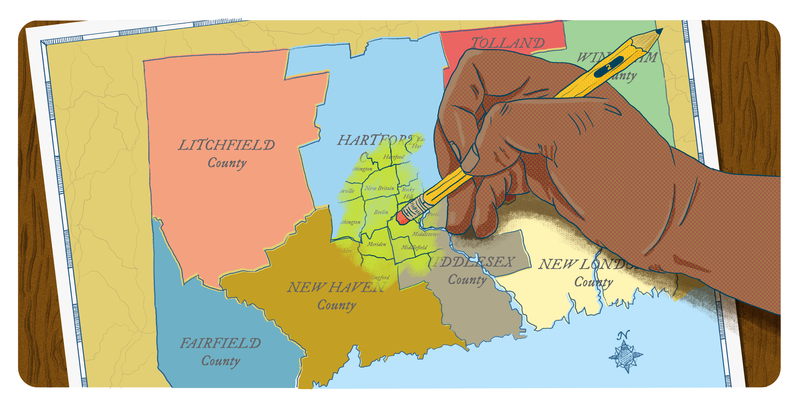 Even in their heyday, they never had much power compared to those in other states, notes Pazniokas, speaking with Connecticut Public Radio News Director Jeff Cohen for our ongoing Extra Credit series on civics. They had limited taxation authority, he says. At the end, their biggest responsibility was operating county jails. With tight state and municipal budgets, there are increasing pressures, according to Pazniokas, to restore some regional services that counties can provide on a more cost-effective basis than can be done individually by each of the state’s 169 cities and towns. But that’s happening under the banner of “shared services,” he says.